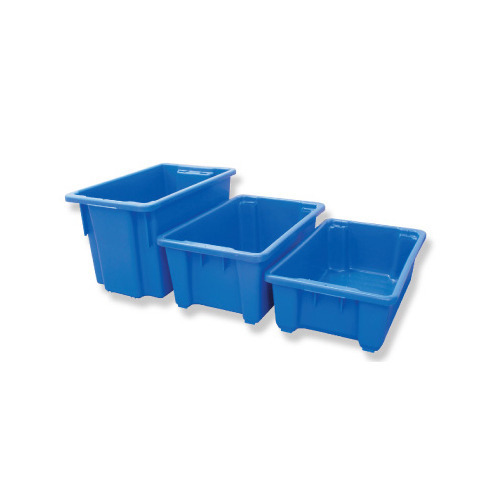 With the aid of our skilled and talented professionals, our firm is actively involved in offering the best quality range of Fruits Plastic Crates. Established in the year 1967, our company, Adequate Steel Fabricators is a leading manufacturer, exporter and trader of Library Rack, Supermarket Racks, Fruits and Vegetable Racks, Slotted Angles, Shopping Trolleys and many more. These products are not just outstandingly strong and tough but also highly attractive and last for a very long time. We employ best of the machinery for manufacturing our products. We are fortunate to have the best team of professionals who have in depth knowledge and are conversant with the latest design and industry trends. We ensure that our products go through different quality tests so as to ensure that they are in compliance with the desired quality standards. Our products are of supreme quality and have made a prominent name in the market. Our clients are spread all over and appreciate the diversity and uniqueness of the products that we offer. To make sure that our esteemed clients are satisfied, we design and manufacture our offerings as per their varied requirements. We are exporting our quality products in African Country and Middle East.